I left you both a semi-humorous message via Twitter about being mellow before I heard this episode, and I guess the timing was perfect... Jorge was definitely in pre-super saiyan mode for some of the discussion, and it was great to hear that passion. Scott, still waiting for you to hulk out, buddy. All kidding aside, although I haven't been listening to your show since the beginning, I've listened to a fair number of episodes and this was definitely one of the best you've done, I think. Primarily it was good because you name-checked me, but apart from that, it was really gratifying to hear some intelligent discussion which didn't immediately buy into the common wisdom that the game is trying to impart a deep message, or that it somehow subverts the very content that it is delivering to the player. I very much admire what Yager was trying to do and in my own review, I encouraged them to keep going along the same lines, but I'm definitely with you in that I think people are giving the game far too much credit, and probably because critical circles are fairly starved for anything to sink their teeth into -- the very same point you guys made at the end of the episode. 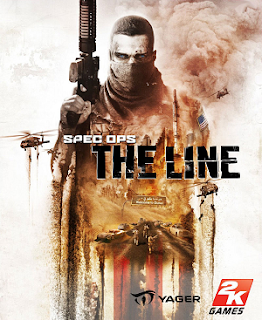 overall, I thought the quality of discussion and examination of Spec Ops you had was top-notch, and I definitely felt like you guys did justice to not only the issues that people are associating with the game, but how the game *actually* addresses those issues and contradicts them at the same time. great show, keep it up, and feel free to mention me again anytime you like. I actually managed to choose a third way in the scene where Walker had to choose between the two victims. It took me several attempts but I finally managed not to shoot one of the men but to attack the snipers and survive (both victims were shot though). I really like the approach Yager did. I do think though the last turn in the plot was one too many. Btw, did anybody notice the quotation from Picasso at the very end? Wikipedia: While living in Nazi-occupied Paris during World War II, Picasso suffered harassment from the Gestapo. One officer allegedly asked him, upon seeing a photo of Guernica in his apartment, "Did you do that?" Picasso responded, "No, you did." The most annoying thing about Spec Ops to me is the integration of achievements and multiplayer. I blame the publisher for that. Hey Brad! Thanks for writing something that piqued my interest. That's all on you. It's so hard to straddle that critical line between lambasting a game and still offering enough praise to avoid scaring off devs who take incredible risks when addressing real world themes. That's an ongoing discussion I have with myself, and with others, and one I'll actually be coming back to on Thursday. Anyway, thanks again for listening. I was concerned going into this conversation but I think it was a rewarding conversation, at least for me. I think you make a ton of great points, most of which surround the way the game could be interpreted and digested in a variety of different ways. In fact, I love this analogy: "Playing Spec Ops for me (and I suspect for you) was like receiving someone else's hate mail." I think you're right. It works for some people, that much is clear. I still don't think I would give it as much credit though for "self-awareness" or satire. It's not just that it didn't resonate with me, but w/o alternative points of view on Walker or the game itself, I don't think it can't resonate with me. I still get the sense Yager stumbled into something here, but I can't really know unless I sat down with the devs themselves and grilled them. Oh god, those achievements. They were constant. I was trying to feel sad and then it would say I just needed to shoot five more american troops in the head. Also, I totally missed that Picasso reference. Is that a good attempt on discussing culpability though? I don't know.